State and federal laws require colleges and universities to be authorized to offer online degree programs in states other than their own. 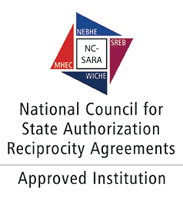 The state of Illinois is a member of SARA (State Authorization Regional Agreement) and Illinois Tech is an approved SARA institution. Illinois Tech may offer online programs to students residing in other participating SARA states. To offer programs to students located in non-SARA states (currently California and Massachusetts), an institution must be either approved by that state's regulatory authority or be exempt from that state's regulations. Illinois Tech is currently exempt from regulation in California and Massachusetts. Regulations do change, and it is the student’s responsibility to understand current circumstances or special requirements in their state of residence.